I just love Paternoster and it must be an inherited family trait because I have photos of myself as a little girl (so about 33 years ago now) walking along the beach with my Dad and another walking down a road in the town with my parents and their friends decked out in 70’s garb! Back in those days Paternoster was still a well kept secret but roll the clock forward 30 odd years and what you have is a still quaint but a lot more popular Cape West Coast fishing village. As one of the last traditional fishing villages the permanent Paternoster residents have made sure that vein of architecture has been adhered too so expect to see whitewashed cottages with shady stoeps and strings of seashells hanging from the reed dakke. Properties on the water are treated to majestic sea views with sunsets that are pure magic! Located an easy two hour (maximum) drive from Cape Town, Paternoster is 15km North-West of Vredenburg. This peaceful, scenic stretch of coastline offers the weekend visitor or holidaymaker a variety of things to do; sea kayaking, walking along the sandy beaches, cycling along the quiet roads, dolphin and whale watching or just relaxing with your favourite book! The Columbine Nature Reserve is the ideal place to visit should you want to see the display of spring flowers – the reserve is about three kilometres from Paternoster and has basic overnight facilities and ablution blocks if you decide to camp. Picnic and braai facilities are also provided should you choose to make the most of a day out. Don’t forget Cape Columbine boasts the last manned lighthouse in the country – pop into the lighthouse tourist centre for more information on the wrecks that dot this stretch of coastline. 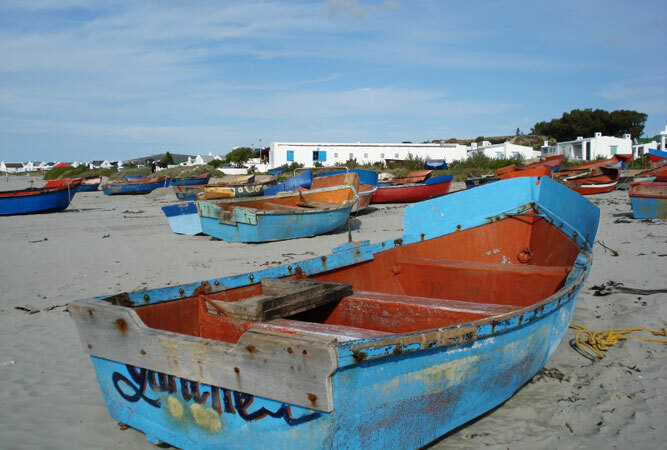 Of course Paternoster is well known for its colourful fishing boats and the fresh catch those boats and the fishermen come back with. If however you are sick to the gills of crayfish the village has a number of great restaurants to try; my favourite is The Noisy Oyster but the hotel also boasts a good menu and a vibrant bar! The Voorstrandt is situated right on the beach in a 60 year old red and green tin house – you can’t miss it! 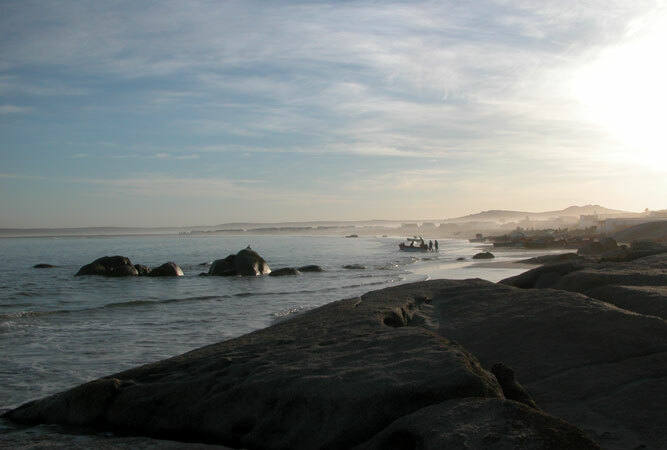 Paternoster is well worth a visit – the pace of life is gentle and the locals friendly. Give this little fishing village a try.